We enjoyed a quiet weekend at home for Christmas. 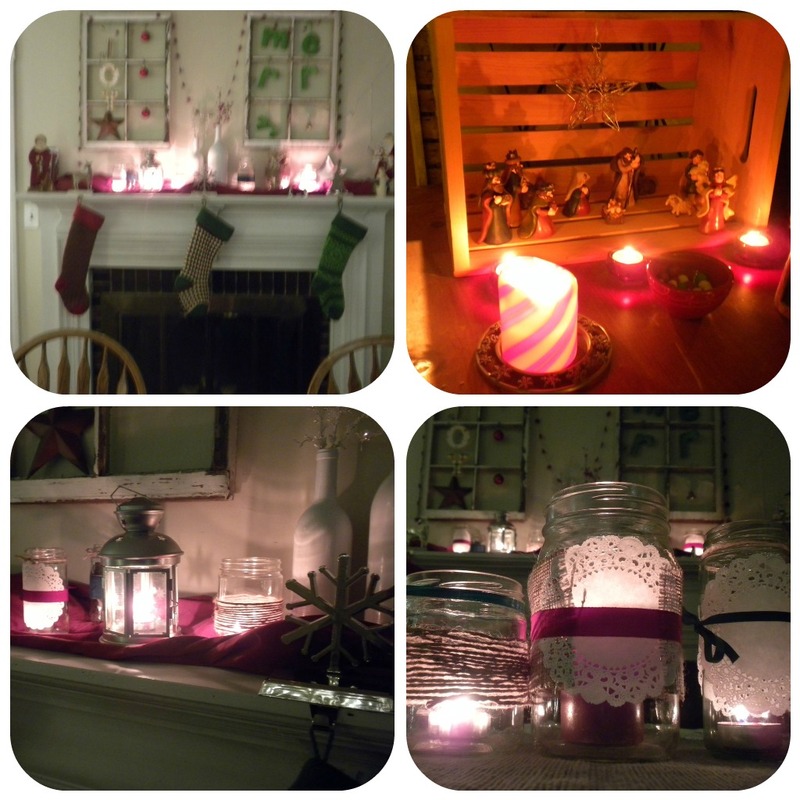 I have been behind on my decorating, but thought I'd share some photos of our place looking festive! We also made a delicious, non-traditional Christmas dinner that turned out so well, I had to share the recipe. 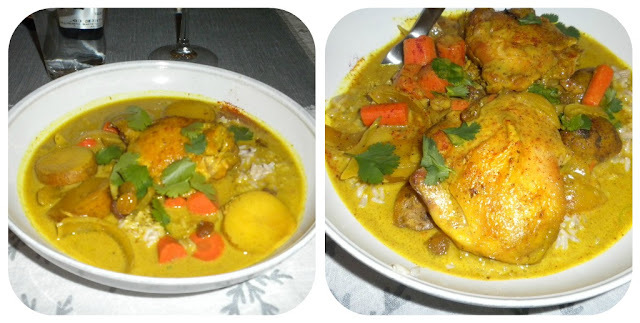 If you like curry, it's must-try since it will also allow you to use your slow cooker ((one of my favorite kitchen appliances))...and it got me thinking, we should always use a slow cooker on Christmas! It just makes life easier. -in 4 quart ((or larger)) slow cooker, combine carrots, potato and onion. -remove chicken, skim off fat and stir in remaining coconut milk, allowing it to warm 20 min. or so. 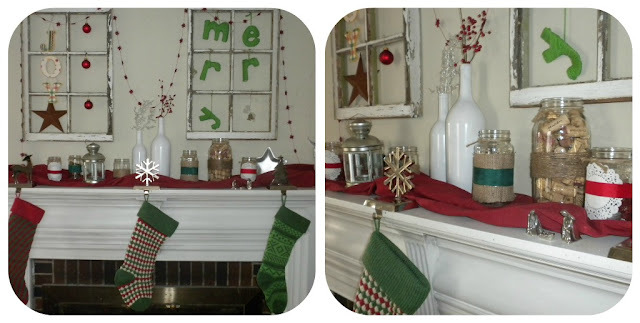 Your mantel is awesome! Love the old window frames and how you decorated them. And that curry... Going to have to make its way into our meal plan this week.